We built our first website in 2001 . It wasn’t pretty, but it worked great. In those days we didn’t have WordPress, Squarespace, Shopify, bigcommerce, Magento, etc. Everything was done by hand using custom code. Google didn’t exist yet and social media wasn’t born for another few years. It was during those early years that we learned about lead generation, search engine optimization, database management and all the essential components that went into building a great website. Original Content. It’s pretty easy to tell when someone doesn’t care about their website. Using a template system with stock photography and robotic writing allows the visitor to quickly determine that they are in the wrong place. When it comes to your website we one have one mission in life – getting people to notice and engage with us. 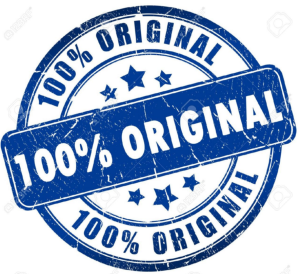 Original content let’s both the visitor and Google know that you care about your online presence. The equation is simple – the more unique and relevant your content is, the more likely people will want to visit your site and the higher your page will rank on Google. Original photos, article, description of your products and services is not only easy to create but it also shows your customer and Google that you care. Original content is an investment in your website and we will help you invest wisely. Great Navigation & Site Structure. Navigation and site structure serves two purposes. The first is that a site that is easy to navigate allows your visitors/customers to quickly find what they are looking for. Good web design will help streamline the navigation and make searching your site more efficient. Second, Google is looking for proper structure in your web design. This concept can get kind of complex, but the proper structure (schema) is used by Google’s algorithms to find certain pages that people are looking for. Web Design with clean navigation and structure are a part of our DNA and included in every website we design. Look and Feel. This is the fun part of designing a website. There are thousands of options for web design but ultimately we need to find the appropriate design for your company. Having designed over 500 websites we’ve become somewhat expert at helping the client ultimately find a design that works for them at the same time for the customer. Delivering clean, organized and effective messaging are a part of our entire process. Mobile-Centric & Responsive Design. With over 60% of the U.S. population owning a smartphone today’s websites need to be designed for the mobile device and tablets first and then desktop seconds. If you website doesn’t render quickly and effectively on a smartphone your website is in trouble. Most searches are done on a mobile phone or tablet and e-commerce is now predominately conducted on a mobile device. 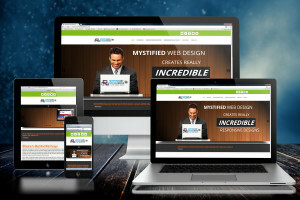 The future is here and we make sure that your most important product, services, and message are the first thing you see on your mobile website design. Social Media Integration. Social media has exploded. Facebook, Instagram, YouTube, Twitter, Linkedin, Houzz, GoogleMyBusiness, Google+, Pinterest, Houzz, etc. all are forms of social media which have become a part of the website and internet fabric. While your website is still a hub of content and communication between you and your customers – social media has become a huge part of the process and should be integrated. Social media – posting, tweeting are the new forms of SEO and SEM. As such, Google tracks for social relevancy and scores your business for it. Businesses with high social interaction get higher search engine ranking. 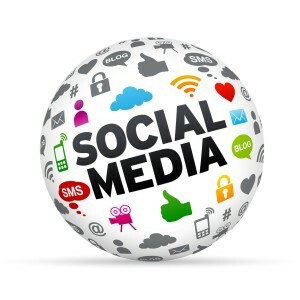 Our job is to make sure that your social media is connected via your website design.